Buying a tablet could be a difficult decision. Our how-to guide makes it easier for you to buy your next tablet, make informed decisions and ask the right questions. 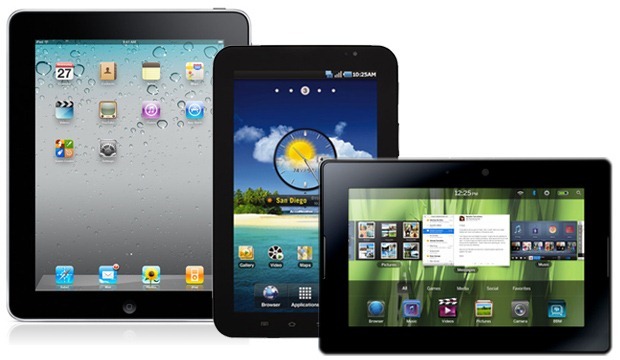 Tablets come in a dizzying array of styles, operating systems and sizes. Some manufacturers provide various options, some are needed and others are entirely unnecessary. In 2011, vendors are planning on shipping a huge number of additional tablets to the already crowded market. The current leaders include the Apple iPad 2, Motorola Xoom, RIM PlayBook, SAMSUNG Galaxy, and the Slate. The key to purchasing a tablet is not about the price, its about the functionality and operating system. A good example of investing in the right operating system is the recent situation with the HP Touchpad. In July of 2011, the HP TouchPad was available from U.S. retailers, with the option of either 16 GB or 32 GB of internal storage for $499.99 and $599.99, respectively, equipped with the WebOS software platform. The WebOS operating system was the software used on the Palm Pre phones, a company HP acquired. Unfortunately, in August of 2011, HP announced they would drop all development of WebOS and would spin off the PC side of their business. The price of Touchpads were immediately dropped to $99. If you are looking to purchase a tablet, you should ask yourself the following questions. 1. Are you replacing a laptop? Do I need power? For many consumers, particularly those who use a standard laptop or maybe a netbook for e-mail and Web browsing, the answer could be yes. Tablets are highly portable computing devices that give you full control of the screen, features and applications. By using your finger or a stylus, you can directly touch the screen to make gaming more interactive, and the hands-on approach provides a more tactile experience than a mouse for drawing and illustrating. Compared to laptop computers, these products are small. Most tablets offer anywhere from a 7-inch to a 10-inch display screen and weigh less than 1 pound. You can store all your music, capture photos or videos, video chat and even read books on built-in eReaders. You do however need to take special precautions in the care of your tablet. If the touchscreen is damaged, your device could become useless. You can buy a case to protect the screen, but these are not included with the product and require a separate purchase. For overall computing, most tablets are not equipped to be laptop replacements, They also do not have all the horsepower of a netbook or laptop. The typical tablets you advertised offer limited processing power, memory, display quality, or responsiveness to provide a satisfying experience. Not that tablets should be all about specs, but right now, if you're going to buy, do pay close attention to them. Single-core models, or ones with CPUs less than 1GHz, are going to be slow. Try to find a tablet with a dual core processor. Also watch out for resistive touchscreens, which generally lag in responsiveness, and for low-resolution displays, look for a tablet that offers a capacative display. 2. What Operating System should I Use? Apple is the leading tablet vendor today and every one is rushing to the market to provide a competitive product. The Apple operating system has many positives including the largest array of software vendors providing applications for the Ipad. The negative for the Apple OS is its closed environment, no tethering, no flash support, no USB port, and no 4G support. The Samsung Galaxy and the Motorola Zoom use the Google Android OS, this operating system is more open which provides more flexibility, wide array of software applications and flash support. Some tablet vendors are offering alternate Google app stores. If its not the official Google Android Market, dont buy the tablet. Having Android Market on the device makes the experience of using the tablet more fluid, and stronger on the whole. The Blackberry Playbook offers the QNX operating system which has limited software applications. The Playbook is preferred by enterprises that have deployed Blackberry servers and businesses concerned about security. Unfortunately, a small number of developers are working on applications for the Playbook and the tablet is limited only to browsing and email. 3. Should I buy a WIFI only or Mobile tablet? Most carriers sell tablets with a contract. The reality is that many tablets are tied to contract obligations with mobile broadband service carriers that heavily subsidize the tablet. That means that if you buy a tablet today with a carrier contract, you're not going to be eligible for an upgrade anytime soon. Never mind the waiting for a contract to expire. Tablet technology is evolving so rapidly that the market will shift again in six months, let alone a year or two from today. In addition, most tablet plans do not offer unlimited service and are tied to tiered 2GB or 5GB plans. So before signing up, make sure that the unit you are buying is the one you want, and not just a temporary toy until the next great tablet is launched, possibly in the next few months. The amount you save up front may not offset what you'll pay down the road. 4. Do I need the latest tablet? The first generation tablets offer a significant advantage on price. Many companies are offering huge discounts and clearing out stock of the first generation tablets. Those tablets were heavier, lacked dual cameras or dual-core CPU's. A first generation tablet is the most cost-effective way to get a good tablet today, unless you need the latest toy. 5. Why am I using a tablet?, can I use my phone? Most smartphones offer the same operating systems and applications available on a tablet. So what is the need for a tablet when you can get all of the same features in a phone. A good solid smartphone can come equipped with a dual core processor, the ability to add huge memory cards and 4 inch screens. So having a tablet would only be necessary for heavy data and browsing. Some carriers still allow for unlimited data on smartphones which can lower your costs. 6. Do I need a 7-inch or 10-inch screen? The iPad is easier to carry than a laptop, but it's not portable enough to pop into a bag, or jacket for a full day on the road. The ipad is great for reading, web surfing, viewing photos, listening to music and watching TV. The ipad as its 10-inch competitors are not small enough or light enough to be on the go. Apple’s Steve Jobs has been no fan of the smaller 7-inch form and has uttered harsh criticisms of the form factor on numerous occasions. Analysts do perceive advantages as well as disadvantages to the 7-inch form factor. The major pluses include lighter weight and greater portability. Smaller tablets also tend to be better on battery life, since they use less power. The 7-inch tablets are generally better suited to gaming and taking photos, but are less useful for web browsing, and the on-screen keyboard can take up too much real estate if you type heavily. Portability is definitely a plus for the 7-inch tablets. The question is do you favor portability over the larger screen. 7. What type of RAM and Storage do I look for in a tablet? Typically, most lower end tablets come with 512M of RAM. This would work well for basic applications, email and web browsing. We do however recommend that you find a tablet with at least 1GB of RAM to help speed up your applications and ensure the fastest connection. As for storage, the ipad 2, Samsung Galaxy 10 and the Blackberry Playbook come in 16GB, 32GB, and 64GB versions. The Android Xoom comes equipped with 32GB of storage and the Samsung 7 comes with 16GB and 32GB of storage, both offer micro SD card support for up to 32GB in additional. Ideally, look for a tablet with the most storage. Applications, video, photos and music can easily eat up a significant amount of storage and render your tablet a paperweight when you exceed its capacity. It depends on the type of tablet you are purchasing, but a ipad 2 wifi tablet should sell for no more than $ 699 and a 3G version for no more than $ 829, these prices are fixed by Apple. A Motorola Xoom wifi sells for $ 499 as does the Blackberry Playbook. The lowest cost tablet with 3G is the Samsung Galaxy 7 tablet from Sprint at $199.99. The tablet is heavily subsidized and offers Android 2.3 OS, 16GB storage, email, dual cameras, GPS navigation and web browsing. Overall a best buy as the cost for the device plus the $19.99 monthly fee for 1 GB broadband service allows you to browse on the road at the same cost for a Wifi only device. We hope that this guide can assist you in selecting your next tablet. Choosing a wireless carrier is not an easy decision. You have to factor a number of items such as network coverage, selection of cell phones, rate plan pricing, family plans, and customer service are just some of the questions. Most people choose a cellular carrier based on network coverage and pricing as the most important factors in the selection process. Some people need to have the latest gadget like the iPhone or the EVO which make it easier to switch. Rating the quality of nationwide coverage remains a challenge. While most reviews can tell you if a carrier offers good coverage in major cities like San Francisco and New York, no one can tell you how the carrier will perform across the United States. It's a huge country, and to accurately say which carrier offers the best network, you would have to make calls in thousands of locations across America. The good news is that most carriers have upgraded their networks to the point where coverage has become less of a factor. In addition, all carriers offer roaming partnerships. Verizon roams with Sprint. AT&T roams with T-Mobile. So coverage is now no longer the deciding factor. In this article we will tell you everything you need to know about the carrier and the phones and services that they offer. At the end of the day you should have all you need to know about America's cell phone carriers. These carriers offer nationwide service. They offer a broad range of services with standard monthly plans that require contracts. Most offer prepaid plans and though some offer "unlimited plans," data use typically is capped at several gigabytes per month. After acquiring Alltel in January 2009, Verizon Wireless became the biggest wireless carrier in the United States. It is offers a 3G CDMA network, a music store, and GPS services. Also, it was the first carrier to launch a mobile TV network. Currently, it is conducting tests for a 4G LTE network that is expected to be commercially available in 2011. A joint venture between Verizon Communications and Vodafone, Verizon Wireless was formed in 2000 through a merger between GTE Wireless and Bell Atlantic. • This carrier offers unlimited calling and 5GB data plans. • High-speed 3G CDMA networks are limited to urban areas. • Uses BREW instead of Java for games and other applications. • Of the major carriers, Verizon has received several awards from J.D. Power and Associates for the best network. • Its smart phone selection is varied and includes handsets that run on Palm, Google Android, Windows Mobile, and BlackBerry operating systems. • Its Friends & Family option offers unlimited calling to a select group of numbers, even landlines. • As a CDMA carrier, Verizon's international coverage is limited to a handful of countries but it offers dual-mode CDMA/GSM handsets. • This carrier offers prepaid plans. AT&T is the second largest wireless carrier in the United States after Verizon Wireless. Today it offers a widespread network and a large and varied selection of cell phones and smartphones. Originally formed in 2001 as Cingular Wireless, it changed its name to AT&T in 2007 to reflect its parent company. In 2004, Cingular acquired the now defunct AT&T Wireless. • This carrier does not offer unlimited data plans. • AT&T's "rollover" plans let you roll unused minutes over to the following month. • Carrier operates a GSM network, AT&T offers extensive international roaming. • Customers can pay an extra fee to expand night and weekend hours. • AT&T has picked up some of the trendiest phones soon after their release date. It was the first carrier to offer the Motorola Razr and is the exclusive provider of the Iphone. • Has a varied selection of smartphones with all major operating systems. • High-speed 3G networks are limited to urban areas. A 4G LTE network is in development. Following a 2005 merger, Sprint Nextel is now the third largest wireless carrier and the second largest CDMA carrier in the United States. Sprint began wireless service under its brand in 1995, and Nextel was founded in 1987. Prepaid service is available only through its Boost Mobile and Virgin Mobile subsidiaries. • This carrier offers unlimited calling and data plans. • Sprint was the second major carrier to offer a 3G (EV-DO) network. • Nextel phones offer a strong set of business-friendly features, including adding a second line to a handset. Also, the carrier pioneered push-to-talk technology with its Direct Connect (aka Walkie-Talkie) service. • Its handset lineup includes a large of smartphones with Android, Palm, and BlackBerry. • Some plans offer extended night and weekend hours and unlimited calling to any mobile phone regardless of carrier. • Sprint's CDMA network and Nextel's iDEN network are distinct technologies that use separate networks with different coverage areas. • International CDMA and iDEN coverage has a smaller footprint than GSM, though the carrier now offers dual-mode CDMA/GSM handsets. • Sprint was the first U.S. carrier to introduce a 4G (WiMax) network. Currently, it offers a handful of 4G handsets, modems and laptop cards, though the 4G service is available only in 60 cities. The second-largest GSM carrier in the United States, T-Mobile grew out of the former VoiceStream Wireless in 2001 when Germany's Deutsche Telekom acquired VoiceStream. T-Mobile operates one of the smaller U.S. networks of the big four carriers, but it has roaming agreements with AT&T and other smaller operators. In 2008, it launched its 3G network and last year it introduced a contract-free service. • T-Mobile's myFaves feature gives you unlimited calling minutes to any five numbers on any network, even landlines. • As a GSM carrier and a subsidiary of Germany's Deutsche Telekom, T-Mobile has extensive international roaming and thousands of Wi-Fi hot spots in the United States and Europe. • Of the major carriers, T-Mobile has received the highest customer service rating by J.D. Power and Associates for several consecutive years. • It was the first carrier to launch a Google Android phone. Its smartphone lineup now includes Android, BlackBerry, and Windows Mobile devices. • T-Mobile's plans are some of the most competitively priced among the major carriers. In 2009 it introduced Even More Plus plans that don't require a contract, but don't offer subsidies for phones. Its Even More plans require contracts, but come with hardware subsidies. • After a long wait, T-Mobile finally released its 3G high-speed data network in 2008. Coverage remains somewhat limited, however, and the network is incompatible with AT&T's 3G. • This carrier offers prepaid plans. It's upgraded HSPA+ network offers 4G-like speeds, though it is not a 4G technology. These carriers serve a regional audience with home networks that cover a specific portion of the country. Roaming coverage is available outside of the home network. Based in Chicago, U.S. Cellular is a regional CDMA carrier serving 26 states in the Midwest, the Southeast, and the Northwest. It has nationwide service, but its native coverage is only in the carrier's home area. In other places, you'll be roaming on Verizon's network, so it's not ideal for frequent travelers. Though many of its handsets are variants of models used by other carriers, it also offers some unique devices. Added features include e-mail and messaging, 3G, push-to-talk services, GPS navigation, and various entertainment options. • This carrier offers an unlimited calling plan. • As a CDMA carrier, international coverage is limited. • Most plans include free incoming calls from any phone number at any time. • Offers both regional (aka "Wide Area") and national plans. Roaming outside the carrier's native coverage network may cost extra, but you can buy prepaid roaming minutes at a discount. • Offers Android and BlackBerry smartphones. • For an extra fee, you can get free mobile-to-mobile minutes with other U.S. Cellular subscribers. • Like Verizon Wireless, U.S. Cellular uses BREW instead of Java for gaming and other applications. Serving customers in select markets in Georgia, Florida,Texas, Michigan, Massachusetts, New Hampshire, New York, New Jersey, Pennsylvania, Nevada, and California, Dallas-based MetroPCS is a CDMA carrier that offers unlimited minutes as a feature of all its calling plans. Also, it doesn't require a contract from any customer, and it doesn't place restrictions on the time of day you call. Yet there is a trade-off, as many basic services like voice mail and caller ID can cost extra. Like other regional carriers, MetroPCS coverage roams onto other carrier networks outside its home area. Its handset roster tends toward no-frills models, but it does offer smartphone and touch-screen handsets. Available features include e-mail, messaging, wireless Internet, 3G, push-to-talk, and a mobile mapping service from MapQuest. • Most plans include free long distance and unlimited text messaging and Web browsing. • MetroPCS is developing a 4G LTE network. • Offers a limited number of BlackBerry and Windows Mobile smartphones. • Because MetroPCS does not require contracts and does not offer service rebates, its phones are more expensive than with other carriers. • Roaming outside the carrier's native coverage area may cost extra, but you can buy prepaid roaming minutes at a discount with the TravelTalk program. • Not all plans include free voice mail, call waiting, or caller ID. Also, other services like three-way calling and call forwarding, and directory assistance are extra depending on the plan. • The MetroWeb service offers unlimited wireless Web access for a flat monthly fee. A subsidiary of Leap Wireless International founded in 1999, Cricket serves select communities in 25 states. Like MetroPCS, Cricket caters to casual or budget-minded users. It requires neither a contact nor a credit check for new customers. All of Cricket's monthly calling plans offer unlimited anytime minutes; however, other basic features such as voice mail, caller ID, and call waiting are not always included. You'll be using another carrier's network when roaming, and Cricket also acts as an MVNO for Sprint. Also, its "Premium Extended Coverage" provides almost nationwide coverage thanks to agreements with 14 wireless carriers. • As a CDMA carrier international coverage is limited. • Cricket offers unlimited monthly data plans. • Unlike most carriers, all of Cricket's plans offer unlimited calling minutes as well. Plans differ, however, on which services additional they include. • Basic features such as voice mail, call waiting, and caller ID can cost extra. • Additional services Cricket is developing a 4G LTE network. • It offers BlackBerry and Android smartphones. • Most plans include free long distance, but roaming outside the carrier's native coverage area will cost extra. Also, you'll be using another carrier's network when roaming. • Cricket offers 3G, but does not offer push-to-talk. These carriers offer prepaid services and cater to a specific audience. Some are Mobile Virtual Network Operators (MVNOs) that do not operate their own cellular network, but lease network space from national carriers instead. TracFone is an MVNO that serves 10 million customers nationwide. The carrier offers services under several brands: TracFone, Net10, Straight Talk, and Safelink. The latter is a government-supported program that provides a free cell phone and airtime for income-eligible customers. Though all service is prepaid, rates, service options, and handset selection will differ between the brands. Unlike most carriers, the carrier offers both CDMA and GSM phones, though handsets are limited to basic models. It does not offer 3G or push-to-talk services. • TracFone does not permit international roaming, but it does offer international long distance. Also, you can choose to provide friends and family in Canada or Mexico with a local phone number in their area. Calls made to that number will then forward to your U.S. number. • TracFone offers prepaid service only. • All services include messaging options. • You'll need to keep an account balance to avoid losing your phone number. Purchased airtime does not expire. • TracFone neither charges activation fees nor does it conduct credit checks. • Your handset choice, rates, and service options will depend on which brand you use. • The carrier offers both CDMA and GSM phones. However, its handset selection is limited to basic models from Kyocera, Motorola, and LG. Boost Mobile is a wireless brand that is wholly owned by Sprint Nextel. Though originally it marketed its service toward a young, urban audience, Boost is now geared toward all budget-minded consumers. It does not require contracts or credit checks. The primary monthly plan offers unlimited calling, messaging, and Web browsing, but customers can also pay by the minute or by the day. All plans feature push-to-talk services. Originally launched in New Zealand and Australia in 2001, Boost USA launched in 2003. • Boost handsets operate on Sprint CDMA network or Nextel's iDEN network. • iDEN international coverage is limited to a small portion of Baja California, Mexico. • Boost offers a monthly plan with unlimited voice calls, PTT, text, and Web browsing. You also can pay for voice calling by the day or by the minute. Exact services will vary by plan, but PTT is available for all iDEN customers. • Boost neither charges activation fees or roaming fees, nor does it require contracts or credit checks. • Boost offers Motorola phones that are similar to those used by Nextel. CDMA models vary. Currently it offers one Android smartphone. Virgin Mobile markets its prepaid service to the youth market. Its phones are sold in many retail locations and online. In 2008, Virgin Mobile bought Helio and merged the two operations. As of 2009, Virgin Mobile is now fully owned by Sprint Nextel after a $248 million buy-out. • There is no activation fee. • Multiple payment options are available including prepaid "PayLo" plans and monthly plans with no contract. Unlimited data use is available with monthly plans. • All monthly plans include unlimited nights and weekends. • Monthly plans also include support for social networking services, navigation apps, and YouTube. • There are no roaming or long distance charges. Kajeet is an MVNO tailored especially for families. It includes the Kajeet Navigator, which is a Web portal software application found on all its phones, and the Kajeet Configurator, a Web-based application that you can access from your PC's browser. The Configurator lets parents add a phone for another child, set up approved and blocked phone numbers, and manage their accounts online. Kajeet utilizes the Sprint backbone to deliver its service and is compatible with a variety of handsets purchased directly from Kajeet. • There is no activation fee and no early termination fee. • It offers monthly plans with no contract required. • Parents can use the GPS locator to find the location of their child's phone. The GPS service is only free for the first month; it's $9.99 a month after that. • Parental controls are free. They are easily accessible via the Kajeet Web site. • You can set spending limits for your children with a monthly allowance, and you can set time limits as well. You can also control your child's address book by blocking certain numbers. Jitterbug is the first mobile virtual-network operator that we know of that is primarily geared toward senior citizens. It currently offers only one phone: The Jitterbug J. It is in the style of a flip phone and is meant to mimic a landline phone. The buttons are big, the keypad is roomy, and the display is easy to read. There's even a dial tone when you turn it on, to make it feel like an ordinary phone. The menu has a Yes/No question-based interface. Jitterbug offers a 24-hour operator service. The carrier operates on Verizon's network and is therefore a CDMA carrier. It is usually offered where there's Verizon network coverage. • There is a one-time activation fee of $35. Setup fee is waived for each additional user. • Subscribers can reach an operator 24 hours a day. Operators give directory assistance, connect calls, and make changes to contact lists. Calls to an operator are deducted from the monthly minutes. • Individual plans start at $14.99 a month for 50 minutes and go all the way to the Simplicity Plus plan, which is $79.99 a month for 1,000 anytime minutes and 500 nights and weekend minutes. The Simplicity Plus plan also includes free operator services, free voice mail, and free texting. Shared plans also are available. • Without the Plus plan, these services have fees. Voice mail, for example, is $3 a month. • Services like MyJitterbug (online account access), MyPhonebook (access your phonebook just by dialing the operator), Daily Health Tips, and MyCalendar (an appointment reminder service), are free for all Jitterbug plans. • You can buy additional minutes if you find you need more - they range from $19.99 for 100 extra minutes to $119.99 for 1,000 extra minutes. 1. A netbook gives you extra space, but exactly how much extra space do you want? Screen size ranges from 7" to 10", with the most common sizes being 8.9" and 10". The vast majority of netbooks have a 10 inch screen. 2. How long do you want the battery to last? Check the estimated battery life for the netbook, but keep in mind that the listed battery life may be different from the actual battery life. Most batteries are rated by the number of individual cells they contain, with a three-cell battery module being the standard and a larger six-cell slab an optional extra. As a rule of thumb, you can allow one hour of battery life per cell. Some netbooks combine high-capacity batteries and advanced power management technology to deliver long life between recharges. 3. What kind of hard drive are you looking for? The typical netbook packs a 160GB hard drive, which is more than enough for most users. Remember, the netbook isn’t supposed to replace your desktop or even a larger laptop. A solid state disk (SSD) will operate without a sound, produce less heat, and run at a higher speed. The disadvantage of this type of drive is its low capacity. If you want a lot of storage space, go with a mechanical hard drive. Some of the cheapest netbooks come with just a small flash memory chip for storage – often just 4, 8 or 16GB. These aren't exactly SSDs – they're slower. 4. Decide what kind of netbook suits your style. There's a large variety to choose from, so look through as many as you can before buying. (Rugged, Stylish, or Lightweight). Do the keys feel comfortable and responsive? Are they too noisy? (This can be a concern if you’ll use the netbook in meetings or a classroom). Preferences for keyboards and trackpads are largely a matter of personal taste, so make sure the keyboard and trackpad on your netbook match what’s best for you. 5. Determine what CPU, video card and options are best for you. There aren't a lot of CPUs to choose from when it comes to netbooks, and there are even less graphics card options. Even so, compare netbook CPUs to make sure you get the one you want. Do you need 3G? USB, card reader, or Bluetooth? If so, make sure it's got them. 6. Which Windows for you? The early days of netbooks saw several models offered with the open-source Linux operating system as a low-cost alternative to Microsoft’s Windows. However, most netbook buyers opted for Windows, so that they could use the same familiar environment and run the same software as on their desktop PCs. As a result, almost all modern notebooks run Windows. But they’re not all the same version of Windows. Some netbooks still come with the ever-popular eight year-old Windows XP. This is more than good enough for the most basic functions of a netbook – Web browsing, email, online chat and simple word processing. If you spy a netbook running Windows Vista, steer clear – unless it’s offered at an absolute killer of a discount. Vista is far too slow and cumbersome for the netbook’s modest hardware. On the other hand, netbooks with Windows 7 are the bee’s knees. Most modern netbooks will come with Windows 7 Starter edition pre-installed, although you may also find the more feature-packed Windows 7 Home Premium on offer. 7. Think twice about buying a 3G netbook. Most mobile phone companies will happily sell you a particular make and model of netbook with inbuilt 3G wireless broadband for zero dollars up front, and a low monthly payment which also includes a generous mobile data allowance. Think twice before you sign up for such a deal. You’ll be locked into a two year contract and the monthly cost will be based on the manufacturer’s MSRP for the netbook. In most cases you’re better off buying the notebook you want, and at the best street price you can find. Then pick the mobile network which currently gives you the best coverage and value for money, and choose either a pre-paid mobile broadband package or one of their standard mobile broadband contract plans – both of which come with a handy USB wireless modem stick. You’ll probably save money compared to a netbook bundle and you won’t be locked into that netbook for the next two years. And if you upgrade to a newer netbook, or decide to step up to a regular notebook, you can keep using the carrier’s USB wireless modem. Likewise, if better mobile broadband deals come out (and they always do) or the mobile network you're currently on becomes congested and you only get a dribble-feed of data through the modem, you can easily switch SIM cards to a different network. 8. Don’t be swayed by software. Some manufacturers and retailers love to load up their netbooks with software, but this is rarely a deal-breaker. In the first place, many programs are time-limited demo packages which will stop working after 30 or 90 days. Others might be cut-back ‘lite’ editions which lack the most useful features as an inducement to have you shell out for the full version. Don’t fall for any of it. A Windows XP or Windows 7 netbook can run pretty much the same software as your XP or 7 desktop or laptop – and if your copy of Microsoft Office or Norton AntiVirus permits multiple installations, you can load those straight onto your netbook (using a USB CD/DVD drive or by copying the installation disc’s files into a USB memory key). You might even want to use free lightweight software such as OpenOffice or rely on Web services such as Google Docs. 9. Is an extended warranty worth paying for? You can land a great brand-name netbook for around $400, with some models under $300 if you shop around. Is it really worth paying another 20-25% of the purchase price for an extended warranty? 10. Shop around. We really can’t stress this enough. Netbooks may have an appealing low price tag but there’s still plenty of fat in the official MSRP – and it’s a very competitive market. Shaving just $100 off the purchase price could let you double your netbook’s memory for zippier performance; upgrade to a higher capacity battery to double the netbook’s battery life; or sign up for a pre-paid 3G wireless broadband starter kit so you can stay connected anywhere. Plasma TVs were the only flat-panel game in town when they were first introduced more than a decade ago. But given the remarkable rise in the popularity of LCD TVs in the past couple of years, many manufacturers have stopped making plasma sets, while the remaining players, LG, Panasonic, and Samsung are shifting toward producing only larger screen sizes. As a result, the majority of our recent HDTV reviews are LCD sets. The popularity of LCD TVs can be attributed to some of the technology's inherent advantages over plasma, including a wider range of screen sizes, a very bright picture, and better energy efficiency. And newer LCD sets with LED backlighting and 240Hz technology offer even greater energy efficiency along with solid picture quality and motion performance. Plasma's strengths include its picture consistency, which (unlike LCD) doesn't exhibit color shifts, loss of saturation, or reduced contrast when viewed at wider angles. With plasma you don't need to be front and center to have the best seat in the house. And a plasma's fast-pulsing pixels are inherently well-suited for minimizing detail loss when displaying motion video. Choosing the right HDTV will greatly depend on the room in which you're planning to watch it. Finding the right display size for your viewing environment is simple. Buy as big as you can fit in the space (budget permitting, of course). The ideal distance for viewing HD material on various screen sizes vary. Sit close to the screen and you'll start to notice the pixel structure of the display. Also, keep in mind that standard-definition (SD) video on an HDTV will look disappointing at the close distances, so consider moving your seat back to improve the appearance of SD material. Room lighting is also important. You want a TV with a screen that produces the best-looking picture under typical conditions. If you usually watch TV in a dimly lit room, plasma is your best bet because it can seamlessly reduce the overall intensity of the picture when displaying bright scenes so you can take in more subtle details. LCD TVs can create brighter pictures, so they work well in brighter rooms. In a well-lit area, screen color can also strongly influence the impression of picture quality images on darker screens (LCD or plasma) can appear more contrasty and saturated. Most LCD sets have very dark-colored screens, but some models incorporate a glossy screen finish that acts like a pair of sunglasses, making video black appear even darker (boosting picture contrast). Just be aware that these shiny screen surfaces can also increase distracting reflections. If you want to use an LCD TV in a darkened environment, consider choosing a model that can automatically dim its picture in response to reduced room light levels or one that you can easily adjust manually to reduce eye strain. 1080p resolution (1,920 by 1,080 pixels, progressively scanned) remains the pinnacle for consumer home-theater material, and all other things being equal, you want the screen resolution of your HDTV to match this format in order to provide the most detailed picture possible. But many factors affect the perception of picture detail, including distance, the quality of your eyesight, and the quality of the video material. At a viewing distance of 12 feet, it would be difficult to distinguish between a 720p and a 1080p display showing the same 1080p video (like a Blu-ray movie) if you have 20/20 vision. 1080p is most critical with bigger screen sizes, where larger numbers of smaller pixels create a more seamless image. It's less important for screens smaller than 40 inches, since you'd have to sit very close in order to notice the additional details. These days, though, 1080p sets are becoming the norm and no longer command premium prices. If you can afford 1080p, go for it. Make the Right Connections ! Your ideal HDTV should provide enough video connections not only for now, but for the foreseeable future. The most important input is the High Definition Multimedia Interface (HDMI), which supports most forms of digital video and audio (from upscaling DVD players, game consoles, set-top boxes, and even some camcorders) using a single cable. Smaller HDTVs should provide a minimum of two HDMI ports and larger ones at least four. If you plan to hook up older analog video devices to your HDTV, make sure your new set provides enough of these connectors too, as many manufacturers are reducing the number of analog inputs on newer sets. Also most of today's HDTVs include a USB port so you can play music and display photos stored on USB flash drives and hard drives. And an increasing number are featuring Ethernet ports or offering optional Wi-Fi modules to connect the set to the internet so it can display news, weather, and sports widgets, for example, and access sites like Twitter, Facebook, Flickr, Netflix, or YouTube right from your remote control. The first thing to remember when you're ready to shop: Always compare prices. Rarely does an HDTV sell for its full list price, so some savvy online shopping can save you a bundle. And don't forget to check out reviews before you buy. A business phone system can help you run your office more efficiently, eliminate the cost of a receptionist, improve customer service and enhance your reputation for professionalism. There is a wide variety of phone systems available, some of which are supplied by large telephone service providers such as Avaya, Verizon and NEC, and others that you can purchase from third party suppliers, small businesses and technicians. Most business phone systems are bought outright, so after installation there are no monthly fees to be paid to maintain the system. 1. Evaluate your telecommunications needs. How many employees do you have and how many will be on the phone at any one time? Do you get a high number of in-bound calls, or are your calls mostly outbound? Is someone from your company usually available to answer the phones and take messages? Asking yourself these types of questions will help you decide what you need your phone system to do for you. 2. Decide on the functions you want your phone system to have. When someone calls, do you want them to hear an automated message that provides them with options to reach particular company representatives? This will require voice "extensions" and the function known as "auto attendant." Or would you rather the inbound caller get the first available employee next to a phone? If so, you can order a "multi-line hunting" system that will roll the call over from one line to the next when lines are busy or no one answers. If you choose the first option, you will likely want to order multiple voice mail boxes to provide each extension holder with a voicemail service. If you go with the second option, you may want to stick with one voicebox to be shared among all employees. Other important features to consider include call display, conference calling and call forwarding. 3. Choose between a voice-over Internet protocol system (VOIP) or a traditional land line system. If you already have land lines set up, it will be easier to buy a system that accommodates these lines. Alternatively, you can arrange to have your land line numbers 'ported' to voice-over Internet protocol lines to make them operable with a voice-over Internet protocol phone system. VOIP systems can save you money as they are typically less expensive than land line systems. However, due to differences in technology, you may experience problems with the clarity of your phone conversations when the person on the other end is using a land line. 4. Research phone system providers available in your area. Compare retail phone prices posted on company websites and/or call different companies advertised in your local directory to get a ballpark figure of what their systems would cost you. Make sure to verify if the price listed is before or after tax, so you can compare apples to apples. Read for fine print and inquire about "hidden" costs or service fees as well as installation costs. Look into equipment warranties; how long is the system expected to last and who is responsible for repairing equipment if it is damaged or if it stops working properly? 5. Ask two or three companies for detailed quotes. One of the companies you should request a quote from is your current phone system provider or a large company that provides phone systems, as well as monthly phone service. 6. Compare the detailed quotes for phone systems and installation processes and choose a company based on the price and warranty of the products being purchased, the number of years that the company has been in business, the companies’ reputation amongst business owners in your community, the availability of installation dates and estimated times to complete the job. As installation times can often leave your business without the use of phone lines for a few hours, or even days, timing is important. 7. Pay a deposit on the total amount of the contract to reserve the merchandise and the installation date, and pay the balance of the payment after the installation has successfully taken place. 8. Another option for a small office is to install the system yourself. If you are computer savvy and you can follow basic instructions. You should be able to buy a low cost systems and install on your own. You can save thousands in the process. Wireless phones can provide freedom and convenience which is becoming increasingly critical. However, choosing your cell phone service plan is as complicated and many plans vary. Cellular phone plans vary by carrier, so it is important to know the plans from various carriers and to verify coverage. Wireless coverage is the most important factor that determines your choice of calling service. Cellular phone service offerings vary from city to city. Coverage is the most important, of course, because you could incur roaming charges or get no service where you need to use the phone. Coverage is determined by the cellular sites and specific to many factors that may impact how your cell phone can be used to make and receive calls. Check that the celluar service provider that you are going to choose covers the areas that you frequently travel to. You can easily check the service provider's availability in your area on the internet. You can find which cell phone carriers provide service in your area by entering your zip code at these sites. Is the cellular phone going to be used for emergencies, family plan, or a business? The purpose of having the cellular phone should dictate which service plan you are going to choose. Should you choose a plan with unlimited minutes? If you are a heavy wireless user or need the phone for business you would nee a plan with a lot of minutes and flexibility. Many carriers offer unlimited minute plans. If you need a phone for personal use you many not require an unlimited plan and may be able to get a less expensive plan. Would you use your phone for emergencies or do you plan to use it all the time? Someone that needs a phone for emergencies, say 100 minutes or less a month is usually a good candidate for pre-paid wireless service. It may not be cost effective to pay a monthly rate if the phone is going to be unused. Most carriers offer packages that allow for different rates based on usage. If you plan to use the phone only occasionally, select and economy plan. If you make frequent calls, it may be more economical to sign up for a plan that provides a certain amount of free minutes of usage. Heavy users should sign up for a service plan which provides a higher monthly fee, some plans are unlimited and offer the lowest rate of air time. Minimal usage really means under 100 minutes or so a month. If you want to have a phone nearby in case of emergencies or want to give your child a phone in case they are late, then you fit into this category. Most companies offer plans such as "security plan" which normally keep your phone active without any included minutes. Per minute costs can be anywhere from 25 to 40 cents so you can see that these plans are intended for those who won't use the phone too often. These plans normally cost fewer than 20 dollars a month. Alternatively, you can seriously consider a prepaid plan. Medium usage would constitute anywhere from 200 to 500 minutes a month. Although this seems a lot, you would be surprised how quickly minutes go by. Those people who start off with the security plan and start using an average of 50 or so minutes a day are much better off choosing a plan with at least 100 minutes as you can see the difference. 100 minute plans normally cost 20 to 30 dollars a month. Most plans in the 100 to 500 minute range cost anywhere from 30 to 60 dollars, on average. They are intended for those people who want to use their phone at least a little bit per month but not extensively. Normally, one can consider high usage to be over 2000 minutes. Most people requiring these types of minutes are either using them for business or really have to stay in touch with all of their family. Some people actually cancel home phone service and use their cell phones instead. This normally happens with the higher packages such as 2000 minutes or so. Prices for these plans can range from 90 to 100 dollars a month. The wireless technologies used today are CDMA ( Sprint and Verizon) and GSM (AT&T and T-Mobile). These digital services allow for more callers to concurrently occupy space on each of a service provider's cell sites, making it the superior choice for highly populated or metropolitan areas. Each platform has its merits, ranging from the reduced background noise and security protection of CDMA phones, to the near global roaming ability that accompanies GSM phones. Most wireless phone carriers require you to sign a one year or two year contract for the cellular phone service. Make sure to find out how many times they will allow you to change packages within the time of your contract, should you find a need to downsize or upgrade your cellular phone package, without charging you a fee for doing so.